This broad and beautiful gent's ring is from Lashbrook Designs. 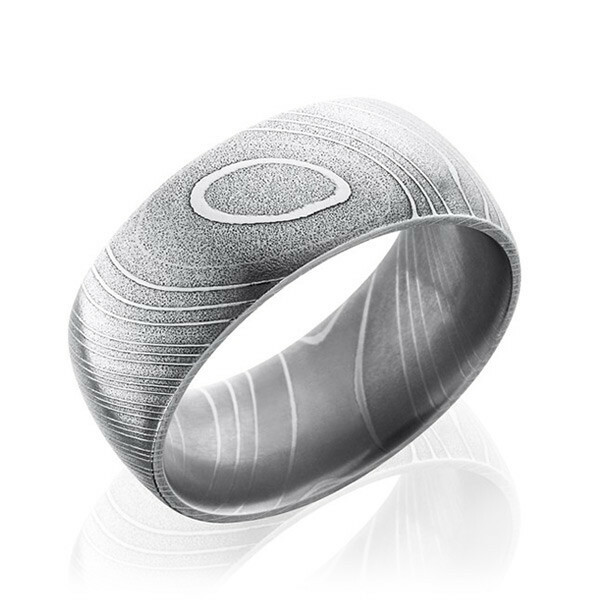 Crafted in Damascus steel with a polished finish, the 10mm domed band features a one-of-a-kind vivid pattern. This Lashbrook men's wedding band is different, distinguished and durable!